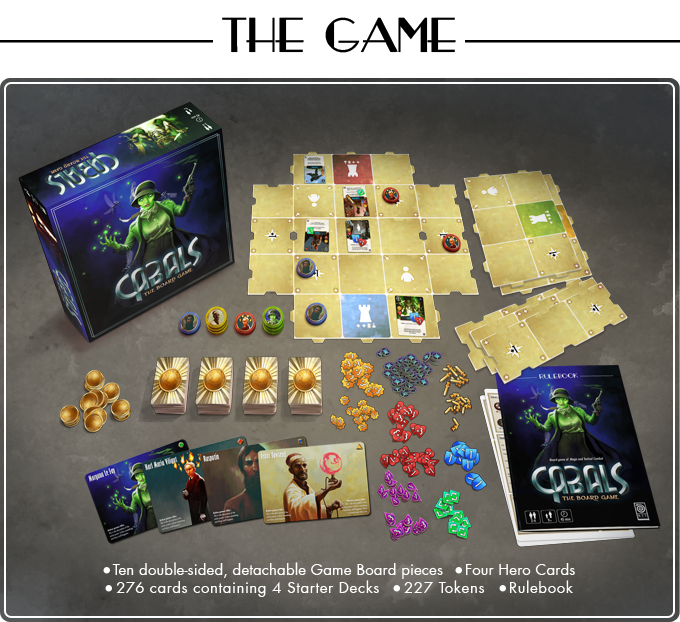 We continue to see the mixing and melding of board games and digital games. Though it's much more a two-way street these days. While many years ago it was all games headed to digital from the real world, it's now digital games making their way to your tabletop. 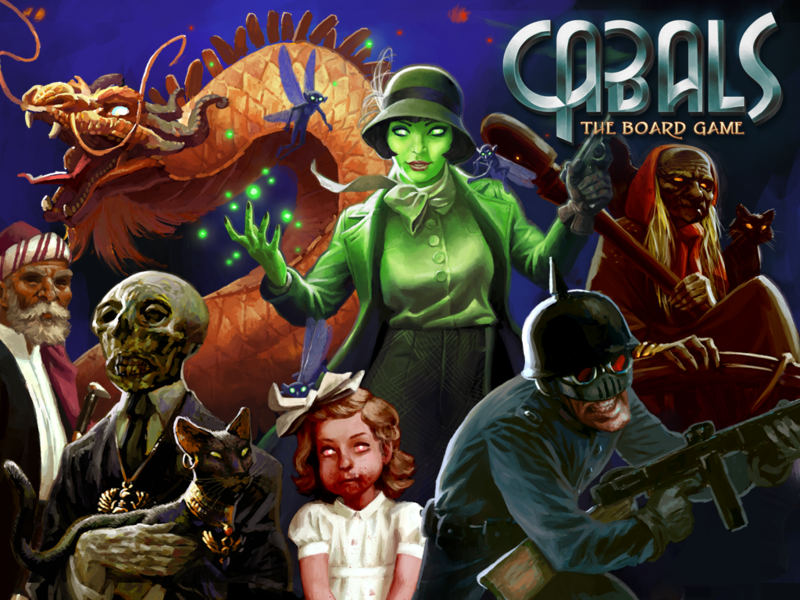 Such is the case with Cabals: The Board Game from Kyy Games. In an alternate-universe version of the 1930s, four secretive groups are vying to be the ones to rule the world. There's the Bearclaw Brotherhood (my personal favorite) whose base of operation is somewhere in the Soviet Union. Then there's the Vril Society, expanding scientific knowledge to their own gain in Southern Germany. Next is the Danann Covenant, an order of Irish witches and accompanying faerie folk. Finally, the Order of Zahir utilize centuries of Arabic wisdom from their command post in Southern Spain. Players must use their customized deck of cards in order to control key areas of the game board. Summon creatures to do your bidding and cast spells in order to eliminate enemy influence. Think of something like Magic: The Gathering, but on a board that you move your monsters around on (in fact, the original game was created by a M:TG champion). Press the attack to your opponent's stronghold and gather the most victory points at the end. The campaign is set to run for another 31 days.